Love, love, love! This reminds me that with all the products out there, I am still drawn to simple, graphic (and perfect!) design using simple colours and shape. That yellow is stunning! So simple, yet so striking! That yellow really pops! I have very much enjoyed following your blog- so thank you for sharing! My favorite color combination, stunning. Fun card & envelope! I love gray & yellow together. Thanks. You are ever so welcome, Joan ... love your card! But, if you please? Make another with that darling paper you've created in the envelope - it deserves center stage!!! Very nice Joan! 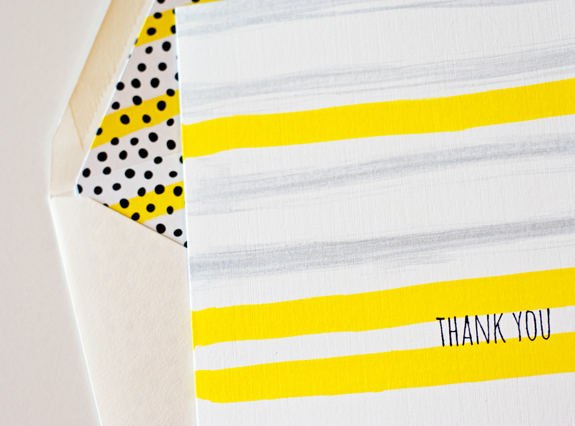 Love the yellow and gray together! Very cool! By looking at my cards you'd never know how much I adore this CAS style. Sheesh! You've mastered it, Joan! 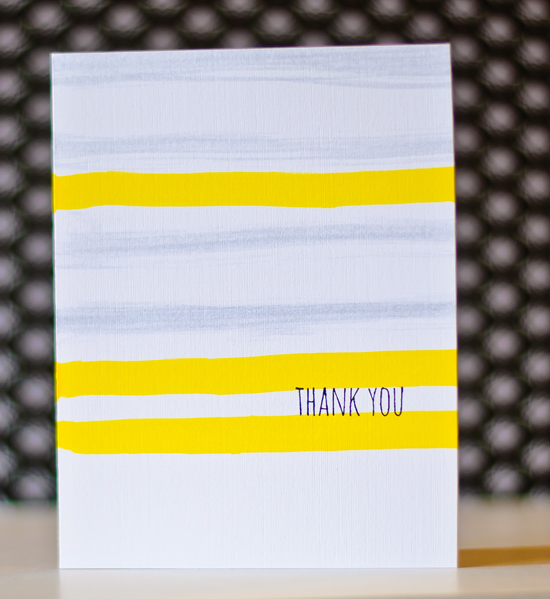 Brilliant idea and I love the bright stripes of color. One more idea to file away for future use.